Who would have known some of the tastiest foods came from food carts? 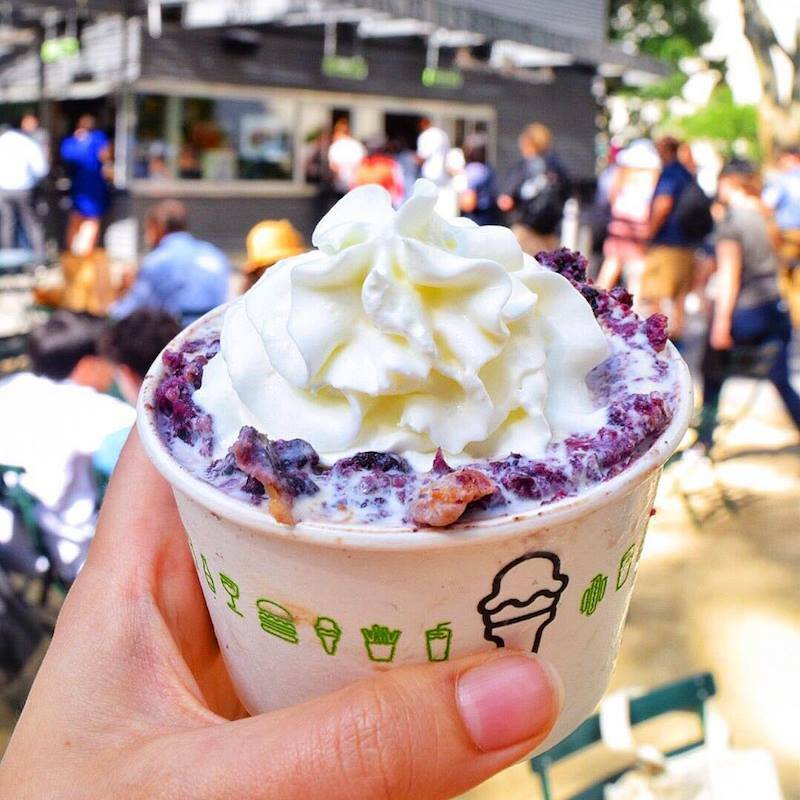 Shake Shack started out as a food cart in Madison Square Park in 2004, and New Yorker’s have been waiting on long lines for crinkle-cut fries and the infamous ShackBurger at restaurants throughout the city ever since. But now Long Islanders are going crazy over the Island’s third Shake Shack opening last month in Lake Grove. 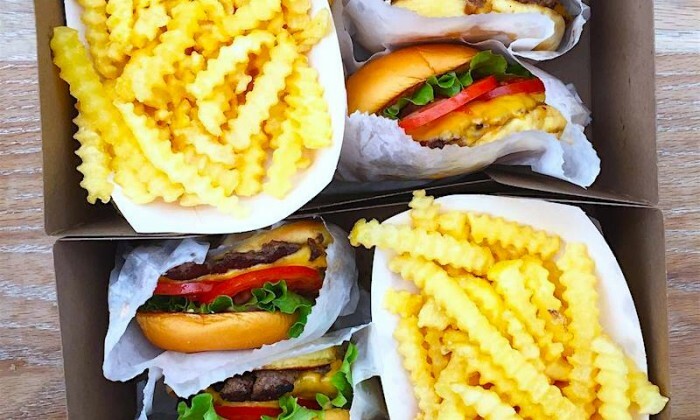 For those new to this fast-food dynasty (or those who could never bring themselves to brave the line at Citi Field), Pulse did the dirty work and found the best items on the menu at Lake Grove Shake Shack. Whenever a burger has an option of a single or double patty, always go for the double. This stack is topped with cheese, lettuce, tomato and ShackSauce. The two-patty combinations are smashed together to create this leaning tower of beef. 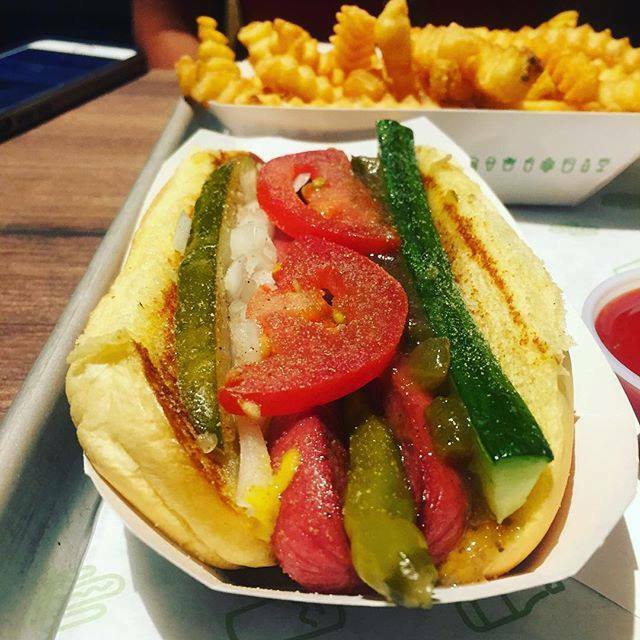 Maybe hot dogs aren’t usually a go-to at fast-food restaurants, but this one is truly a specialty that goes off the ketchup-and-mustard beaten path. It’s loaded with flavor courtesy of onions, cucumbers, pickles, tomatoes, sport peppers, celery salt, Rick’s Picks Shack relish and yes, mustard. 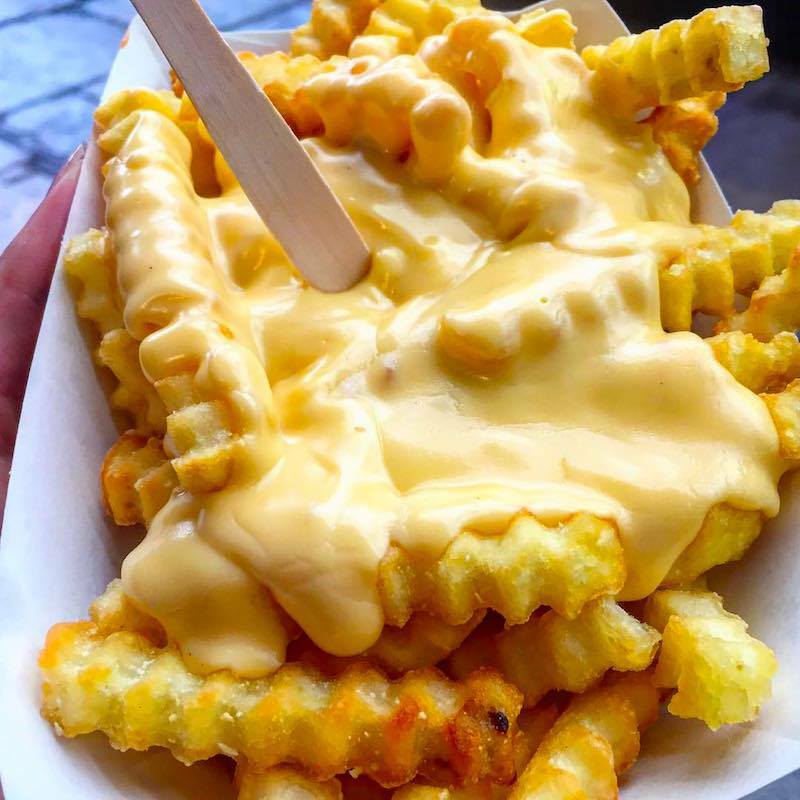 Everything tastes better when covered in melted cheese, especially crinkle-cut fries. 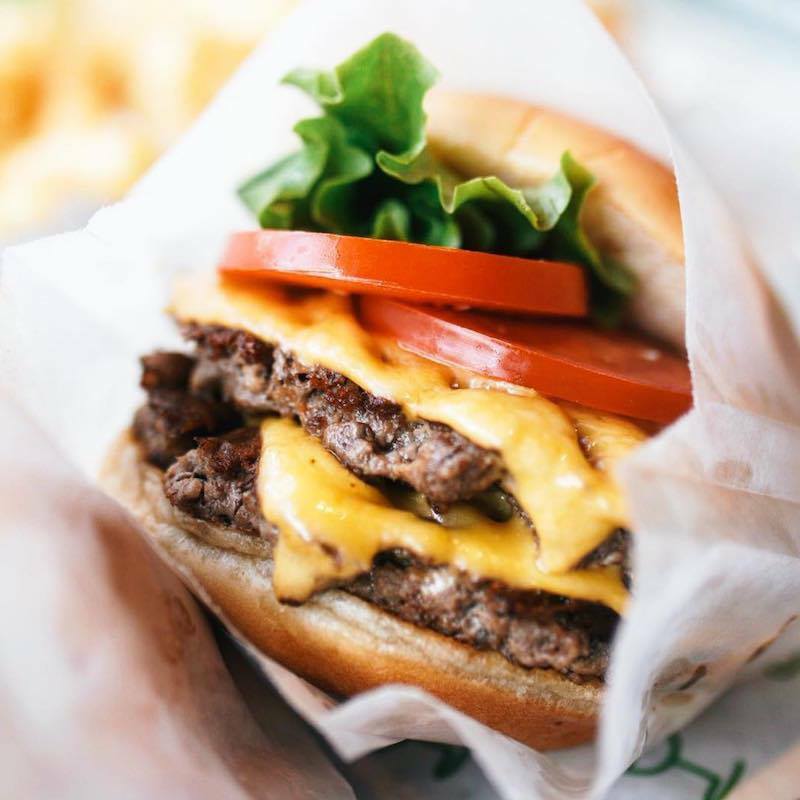 This is no ordinary nacho-cheese style sauce—Shake Shack blends cheddar and American cheese to create a thick mixture that is just enough to ensure the fries remain crispy. Concrete is just a fancy name for frozen custard blended with special toppings. 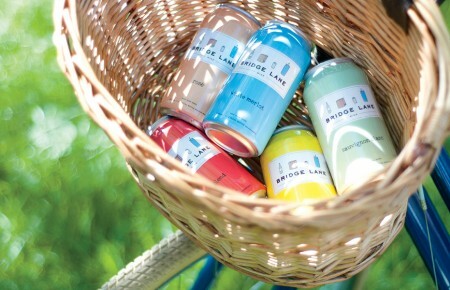 This concrete is unique to the Lake Grove location because it is made with vanilla custard and a slice of seasonal pie from the local Four & Twenty Blackbirds pie bakery. Eat for a cause: 5 percent of sales from Pie Oh My support Steven and Alexandra Cohen’s Medical Center. 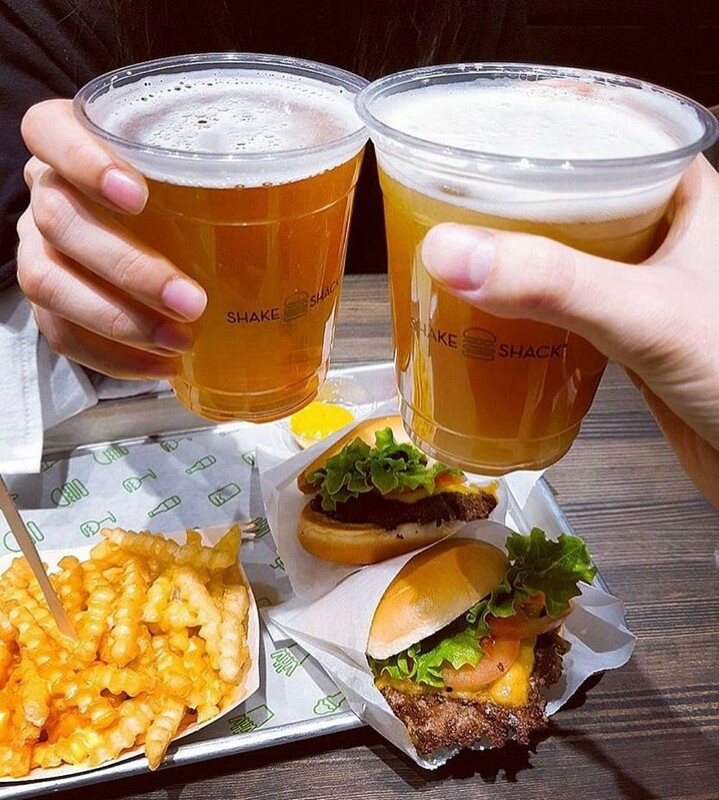 The ShackMeister Ale is brewed exclusively for the Lake Grove Shake Shack by Brooklyn Brewery. 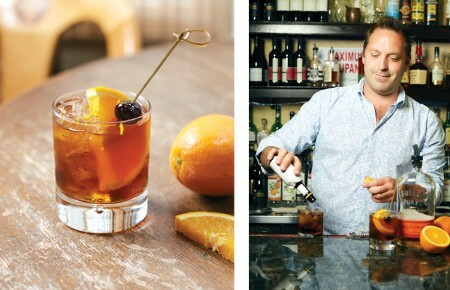 Guests can also pair their food with local brews from Blue Point Brewing Company, Port Jeff Brewing Company, Greenport Harbor Brewing and Great South Bay Brewery. Don’t worry, they didn’t forget about the wine lovers! Shack Red and White wines are made exclusively by Napa-based Frog’s Leap Winery. If you didn’t get a shake, did you really go to Lake Grove Shake Shack? 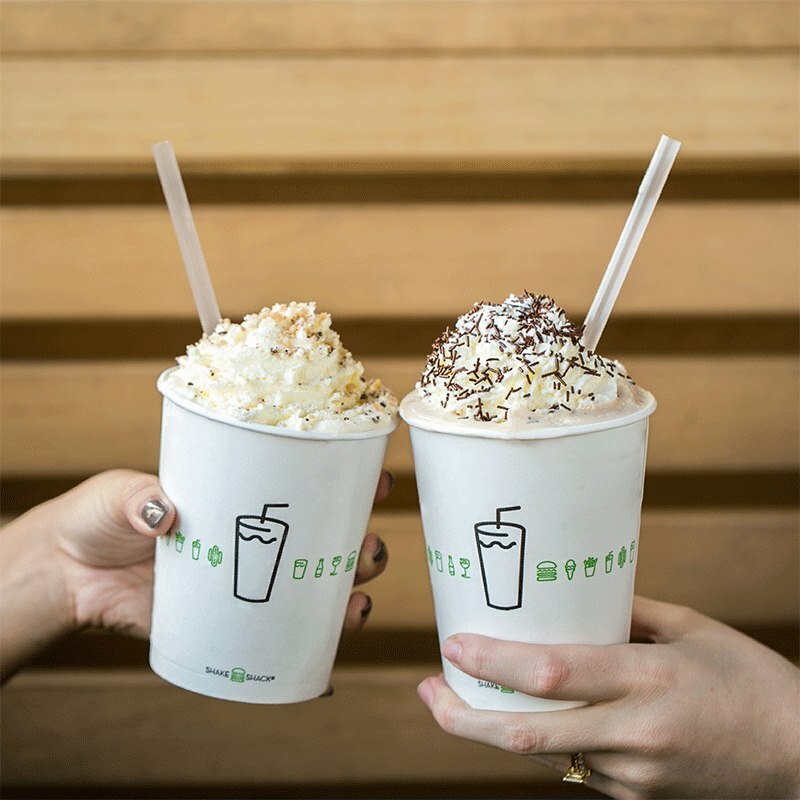 Shake Shack hand-spins soft serve with ice cream all day long. The rich, creamy mixture is whipped with ingredients of your choice. Try the traditional black & white milk shake or the coffee Fair Shake for a caffeine fix.